If you are a beginner reef or saltwater fanatic, this is definitely the article for you. Below I give some of the easiest and popular saltwater fish, to begin within your aquarium. These are an awesome schooling fish to choose and they come in a variety of colors. Blue and green for example look amazing mostly in saltwater aquariums as they have a nice torque body that gives sort of a shimmering effect. These fish are also hardy meaning they can adapt to new environments quickly. They are easy to keep and also come cheap which is an advantage to any beginner. Dwarf Angels are really amazing saltwater fish as they come with an open personality and usually swim around the water with grace and pomp. They also come in a variety of beautiful colors to choose from. They grow around 4-5 inches and thus do not require a huge aquarium. They are a very peaceful fish and love grazing on the algae. They are however pricey as their price ranges from $40 to $70. They are also very hardy and super easy to take care of for beginners. 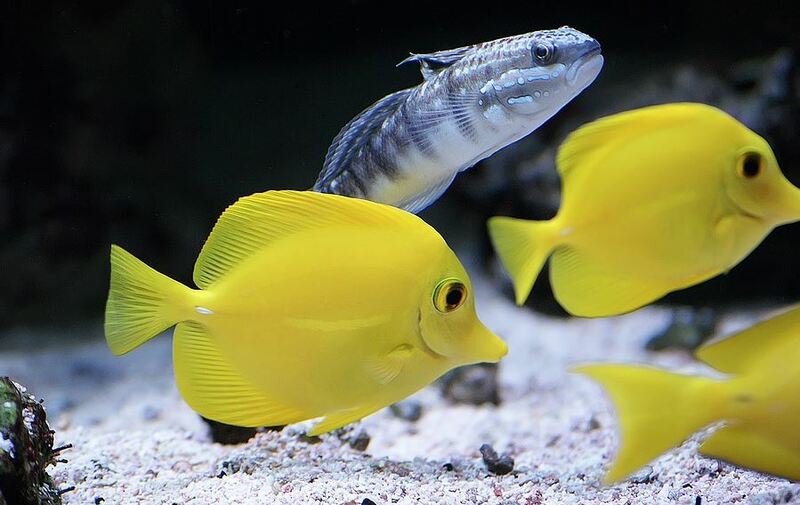 There is a variety of these saltwater fish in the market and they include; starry blennies, bicolor blennies, algae blennies, and tail spot blennies. These fish have excellent coloration with unique color patterns that no other fish seems to have. They are a hardy fish meaning they can survive even in tough conditions and are usually sold at a cheap price. As the name suggests, these are royal saltwater fish, they tend to be a bit shy when introduced to new environments but with time, they learn to come out. They are very colorful fish and would look amazing in any aquarium. These are also great beginner saltwater fish. The species vary mostly in terms of color. They are mostly divided into; the yellow prawn, the neon blue, the orange strike, and the diamond watchmen. These are a cool fish to have as they are easy to maintain so long as you feed them well. They are quite hardy and thus can acclimatize to different environments easily. They are not that expensive to buy and keep. The diamond watchmen tend to be more expensive as they sift the sand in your aquarium making it cleaner.